case study examples like Nando’s, the Robyn Island Prison system, Government discussions and his own life. Nick Christelis is the dynamic and knowledgeable Managing Partner of Nick Christelis & Associates, a consultancy specialising in Aligning Strategy, People and Performance since 1980. He has an internationally acclaimed reputation as a business strategist, facilitator, coach and speaker. 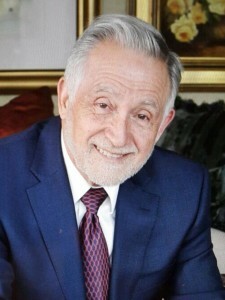 Nick is affiliated with the American Management Association and has over the past 30 years presented at thousands of local and international conferences including the MIT Enterprise Forum in Cambridge, Boston and the Joint Management Development Program sponsored by the HEC School of Business in Paris. He has advised the State President’s Tourism Council on training and development within the hospitality industry in South Africa and has facilitated the highly successful Primedia Broadcasting LEADSA strategy. His strengths lie in his practical business experience, having been a director of numerous client companies as well as his ability to remain at the cutting edge of worldwide development in strategy and leadership. N ick’s book, The Art of the Arrow: How Leaders Fly, was launched on the 1st October 2015. 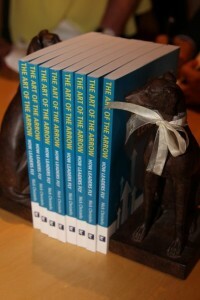 The book will introduce you to the Leadership Arrow. Based on Nick’s years of global consulting experience, it’s his interpretation of the leadership journey. It takes everything we know about leadership and suggests a model that’s easy to understand and apply as you travel your own leadership journey, whether personal or organizational. The theme of this book provides an ideal one hour conference presentation. Any presentation by Nick is guaranteed to be dynamic, motivating and challenge thinking, while simultaneously being practical and providing suggestions for follow up actions.